Looking at this phone and after reading all the mail here, am really confused. Phone comes with respectable features but poor battery life and hangs frequently. Are O2 or Dopooo phones also similiar or does anyone have a better choice, before i commit to buying a PDA phone. One picture come and then screen is again off. 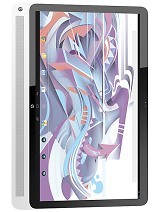 Does anyone knows where to download free software for Windows Mobile 5.0? i want to comment on the guy who said ppl should not buy this phone coz of the speakers. the guy was complaining that the speakers are not loud enough. as for me, i think there is something really interesting about the speakers. the speakers are soft (no doubt) but even if u go far from the phone while playing music, you will still be able to hear the speakers. and i really like the sound quality. can this pda input chinese or read chinese sms ? REPENT the dreadful day (30/09/06)when I bought this phone! For a person using Nokia all thru- this was the worst brand and phone change I could have dreamt of and worse- it is not even 6 months that have passed by me buying this dreadful piece, HP has discontinued this prodcut model on its website!!! I feel more disgusted with myself since I really never thought after paying $780-I would get this kind of a product. Believe me, it has a problem in every area- the speakers, the FM radio, the sound quality. 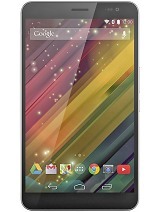 PLEASE DO NOT BUY THIS/ OR ANY HP MOBILE DEVICES- my sincere advise, U don't even know when they DISCONTINUE their products! I need a mobile that can interact as a Diary for my day to day work schedules, plus accept emails. Is this the best option for me. I am on the road most of the day, so need a decent battery life, which seems to be one of the main gripes on this site. Does this come with an in car charger? Any advice you can give me would be greatly appreciated. v good phone in all respect,much better then o2 xda mini as i was using it .but the main draw back is its poor quality audio and the camera dosent seem to be 2 mp. i am impressed with the performance of the phone. ive been using it for about a month and i am not experiencing an problem. i really like the phone. actually i am little bit confused . 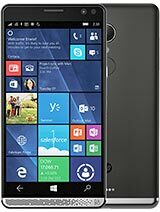 can anybody who has this phone can tell me the performance of this hp 6828. i am going to buy this phone with in a week.please tell me the truth, if is is not good enough to spend on this phone then please suggest me some other pda phone.please be fast. i am left with no choice but to enjoy this phone...i already sold my nokia6233 3G fon, which is infact a great great unit to have. is there any rom upgrade which you can dload from hp? ( like in o2 atom )this will make your fon thinks faster, more reliable..etc. Total of 417 user reviews and opinions for HP iPAQ rw6828.